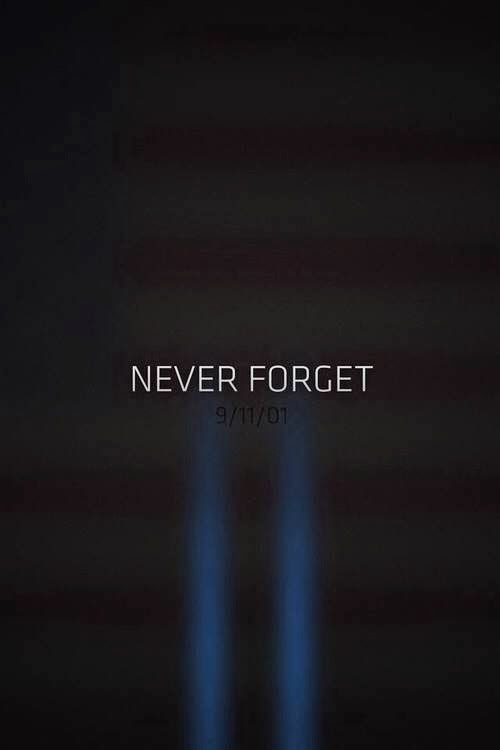 It's about 8 am on September 11, 2001 when I hear on the radio that a plane hit the first tower. I knew, absolutely without a doubt, that we were under attack. E and I got married on July 14, 2001 and decided to move right outside of Milwaukee WI. Funny enough, right next door to the airport actually. Being new to the area, we were still getting used to hearing the loud noises of the planes above our heads. So you can imagine how eerie it was to hear nothing after 9/11. I'm at work on the 11th, opening a tanning salon that I was working at, when over the radio I hear "a plane just struck one of the towers in New York!". I can't explain it, but I knew. I knew that we were going to have a horrible day and that we were under attack. It was this gut reaction. Then, like out of a movie, I hear that the second tower has been hit and it is a plane. This time, people had seen it happen. There was no doubt now. We were under attack. I called E and told him we were being attacked, he was still sleeping, and instantly he was awake. My grandfather worked at the Naval base in Great Lakes and I had heard that they were afraid that there were more targets and they were sure one was headed our way. I instantly panicked. I remember calling my grandparents just hoping everything was ok. It was. Of course we now know they weren't headed our way at all, but in those moments, it was sheer terror for me. When I finally got home that night, I saw the coverage of the plane striking the building, and I remember just falling apart. Then I got angry. Crazy angry. How could this happen to us again? Aren't we untouchable? Why didn't we see this coming? All these questions that I am sure everyone else was asking as well. That day changed so much. It changed the landscape of, not only NYC, but the country as a whole. It changed our sense of security & our peace of mind. No more were we the all powerful USA, now we were vulnerable too. To this day, I wonder why I reacted the way I did. I guess I'm just human. I am just hoping we have learned something. I will say, I miss the moments after the attack when we were all one race, the human race. We worked together, for one another, with one another. That day broke my heart, shook my foundation, and woke me up.